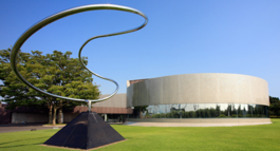 Located forty miles east of Hamamatsu by car, the Shiseido Art House opened its doors in 1978 as an art museum. 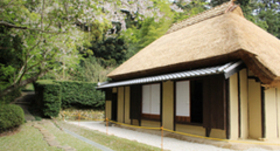 A gallery showcasing the paintings, sculptures, and artworks acquired by the Shiseido corporation, it is open to the public for special exhibitions and permanent exhibits.At the adjacent Shiseido Corporate Museum, we can trace the evolution of a corporate culture has been continued from 1872. Promotional materials such as packaging, newspaper and magazine advertisements, and television commercials from the business's inception to the present day are also featured here. Admission to either institution is free of charge. Both museums, however, feature a wide range of quality exhibits one wouldn't expect from a free institution. 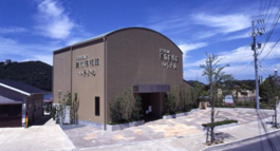 The Shiseido Art House has in the past won awards such as the Architectural Institute of Japan Prize (1980) and the JIA 25 Year Prize (2010). The building itself was constructed to a high standard of artistic quality. The exterior seems modern even today, thirty-five years after its construction. Enjoy the lovely sight it presents framed by the beautiful lawn and expansive sky. ※ The JIA 25 Year Prize honors "structures that have made a longtime contribution to the local environment, maintained their aesthetics against weathering, and conveyed the significance of architecture to society" and "people who have contributed to the development of those beautiful buildings." Inside, we have a collection of about 1600 works of art acquired through exhibitions held at the Shiseido gallery in Ginza and through activities supporting the artistic community. The exhibition rooms on the first and second floors contain a permanent exhibit of a select number of artworks from this collection. Visitors can appreciate these refined works at their leisure in a quiet setting. In addition, there are also special exhibitions of works not featured in the permanent collection held on a regular basis. The exhibits are rotated on a frequent basis once every few months, ensuring that visitors to the museum will never stop being surprised. The Shiseido Corporate Museum opened its doors in 1992, on the 120th anniversary of Shiseido's founding. Inside, the museum preserves the long history of Shiseido, from its inception in 1872 as Japan's first Western-style compounding pharmacy to the present day. On exhibit are promotional materials from the corporation's evolution over the years such as commercial packaging, posters, and newspaper, magazine, and TV advertisements. It is highly interesting to see how the advertisements reflect the changes in design over time and the fashions of the day. Promotional materials for overseas markets are on display as well, so it might be fun to compare them to those intended for Japanese consumers. Also featured are the evolution of the attire worn by our beauty consultants and the relationship between Shiseido and Japan's makeup culture. ※Audio guides (in Japanese, English, French, Chinese, and Korean) are available in our corporate museum. The corporate museum also features special exhibits that are rotated every few months. 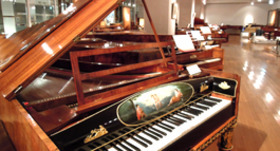 Original products are available from both museums. From postcards to cosmetic oil-absorbing sheets to tote bags with a Shiseido Design motif taken from our firm's cultural assets, this merchandise is not available anywhere else. Why not pick up a gift or souvenir? The shop also sells recreations of perfumes from the Taisho period. Don't miss this chance to testing the scents of Japan, revitalized for the present day. Pamphlets for both museums are available in both English and Chinese. Please give them a look. The staff mainly speaks Japanese, but as the staff will also try their best with basic English, or even gestures, please feel at ease when you come to the store. ・The Museum of Fragrance, Iwata Making a unique scent jusut for you. ・Matthew No Me Matthew Ryan resident in Hamamatsu introduces enshu area in an original viewpoint. ※ Parties of ten guests or more are asked to make reservations one week in advance via phone, FAX, or our organization reservation form. New Year's (late December-early January). Also closed temporarily when changing exhibits (please inquire in advance). 25 minutes on foot or 5 minutes by taxi from the south entrance of the JR Kakegawa Station. 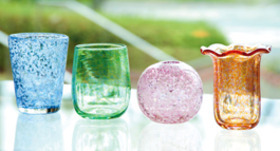 Take the downtown loop (southbound) and get off at the Shiseido Art House stop. 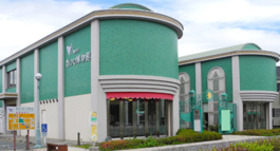 ※ Takes 30 minutes from the Kakegawa Station north entrance, including travel time on foot. Around 10 minutes Tomei Expressway Kakegawa I.C. Around 30 minutes Shin-Tomei Expressway Mori-Kakegawa I.C.